"Have you heard of the “Give Me Liberty” Club hosted by Westwood Acres? 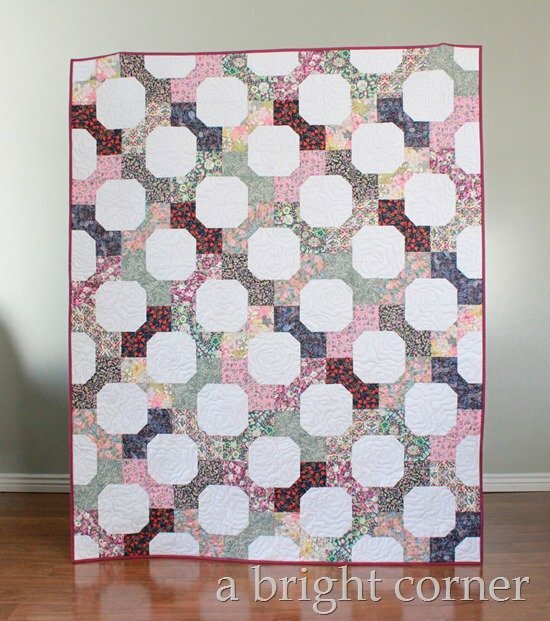 Members of this club receive 10 pieces (either F8, FQ or F16) of Liberty Lawn fabric each month for the year. It’s a fun way to add to (or start!) your Liberty collection. 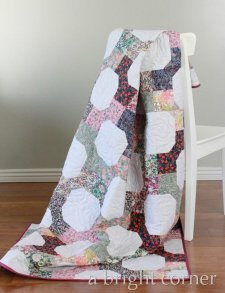 "I’m calling this quilt “Ties to Liberty” since it uses the traditional Bow Tie quilt block and (of course) these pretty Liberty Lawn fabrics! This quilt uses only 10 fat quarters and the finished quilt measures 56” x 70”."